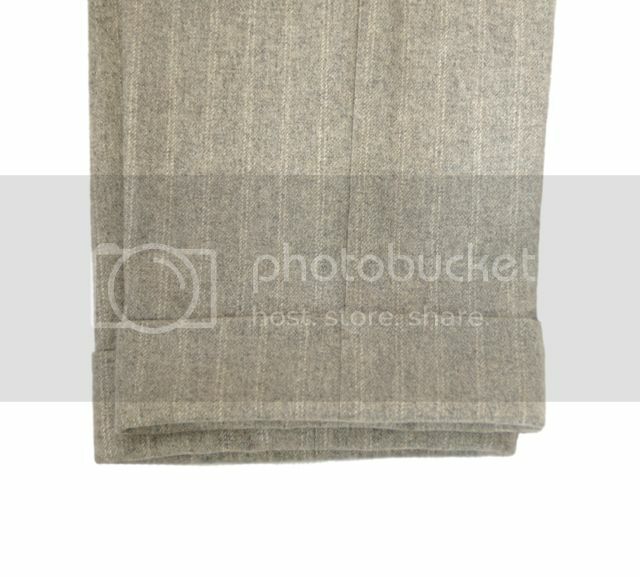 'London Lounge Soft Grey Double Stripe' 18oz flannel. 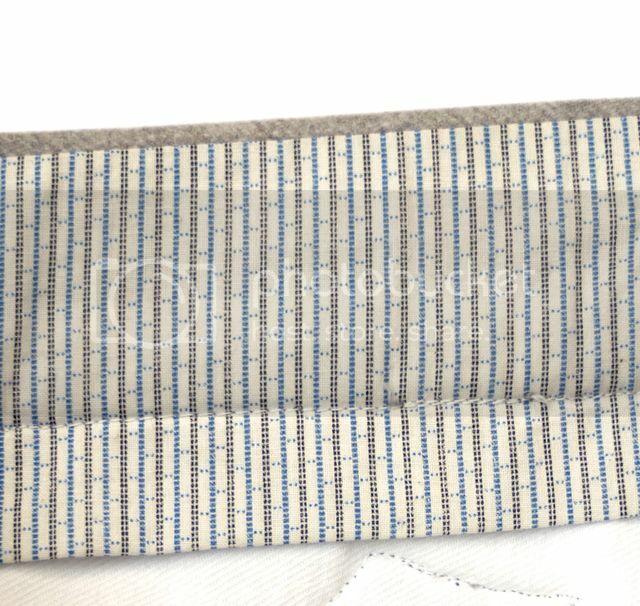 Edwardian printed cotton on waistband. 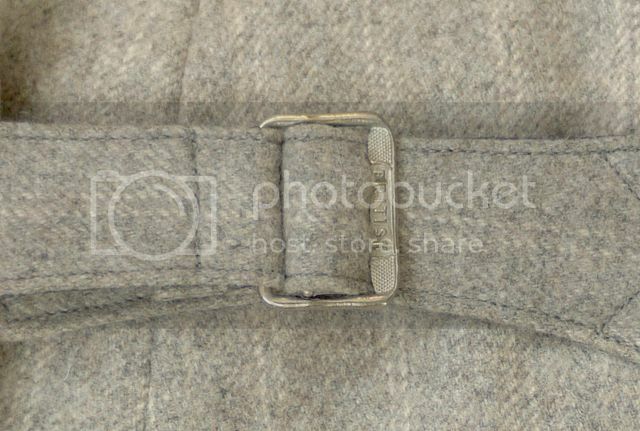 vintage British cinch buckle, brace & fly buttons. 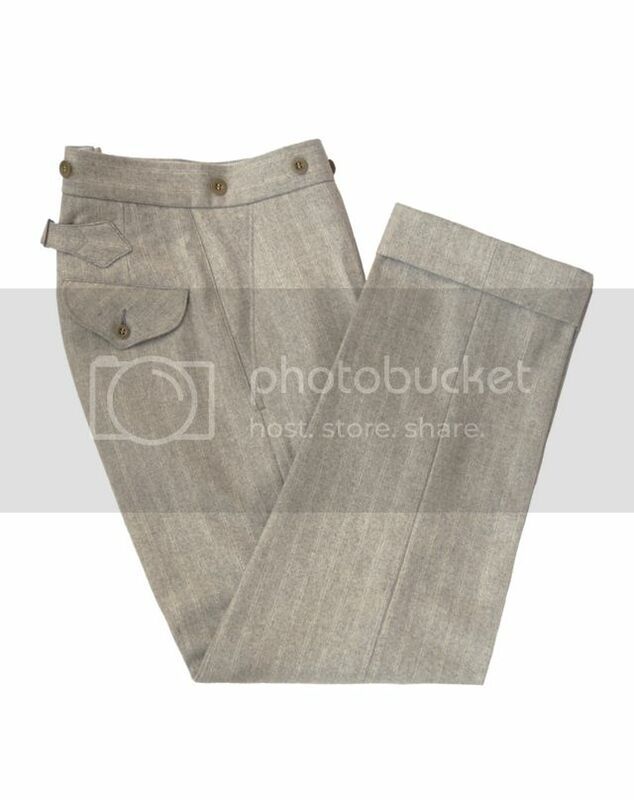 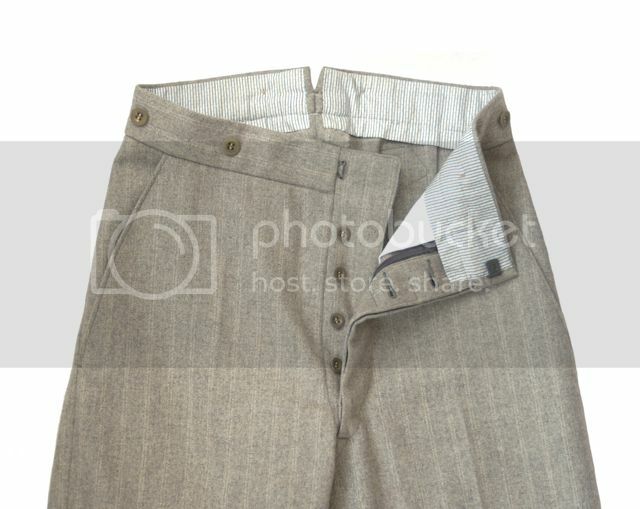 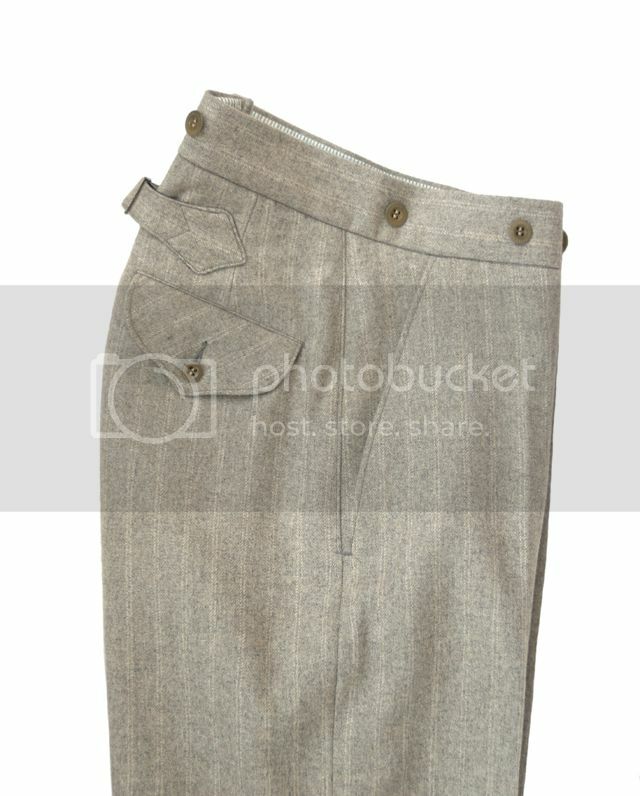 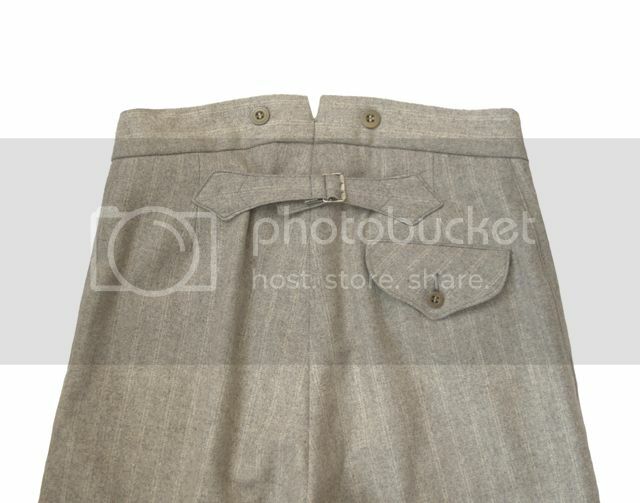 This is really very wonderful post, my grandfather wear such like that of pants.